Western fear-mongering persists. Russia is relentlessly bashed. 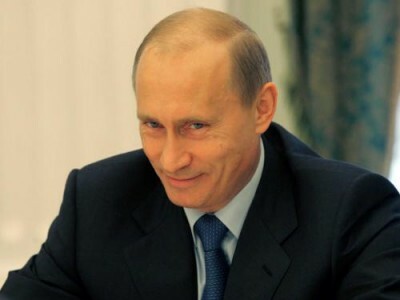 Putin is irresponsibly considered public enemy number one. Cold War 2.0 rages – heading dangerously toward becoming red-hot. Top US officials consistently lie. “(T)hese are the facts. They are provable. They’re not subject to dispute.” No proof whatever was cited. None exists. John Kerry repeats the same Big Lie. On March 2, he met with Sergey Lavrov in Geneva – days after lying about Russian involvement in Ukraine. He warned Lavrov of new sanctions. They’re prepared and ready to be implemented, he said. He lied claiming Russian Minsk breaches. None whatever occurred. No Russian violations of last year’s Geneva and Minsk agreements. No Russian forces operate in Ukraine. Not now. Not earlier. No planned invasion. No seizure of Ukrainian territory. No violations of international law. Big Lies claim otherwise. Investigative Committee spokesman Vladimir Markin said using media to incite aggressive war means imprisonment for up to five years if convicted. Scales isn’t alone. He’s like many other lunatics in Washington influencing US policy. Their ideas risk nuclear war. Giving them air time on national television increases the possibility. On March 13, Northern Command (NORTHCOM) commander Adm. Bill Gortney hyped a nonexistent Russian threat before Senate Armed Services Committee members. Gortney went further saying NORAD (North American Aerospace Defense Command) “face(s) increased risk in our ability to defend North America against Russian air, maritime an cruise missile threats” if their technology keeps improving. It’s more than what all other nations combined spend with all categories included plus black budgets, secret intelligence ones, and regular appropriations added to annual National Defense Authorization Act (NDAA) budgets. Pentagon chiefs want tens of billions of dollars more. They want blank check funding for war-making. They want what no responsible government should allow. Gortney lied telling Senate Armed Services Committee members America’s biggest security threat is spending constraints. He took full advantage of Senate Foreign Relations Committee time given him. He hyped nonexistent Russian, Chinese, North Korean, and Iranian homeland threats. He claimed homegrown terrorist ones. He cited what he called “a transnational criminal network” operating in “seams” between Washington’s Northern, Southern and Pacific commands. He hyped a possible cyberattack able to compromise America’s ability to defend itself. America’s only enemies are ones it invents. Permanent wars follow – perhaps heading toward use of nuclear weapons for the first time since WW II. Far more powerful ones. A previous article explained their destructive force – enough to turn major cities like New York, Chicago and Los Angeles to smoldering rubble. Enough to destroy life on earth. He cited its nonexistent “increasingly aggressive” behavior. “The rapid pace with which Russia is seeking to modernise her military forces and weapons combined with the increasingly aggressive stance of the Russian military including Russian aircraft around the sovereign airspace of Nato states are all significant causes of concern,” he claimed. Hammond perhaps forgot Britain’s alliance with Washington’s wars of aggression, its proxy wars, its dirty ones, its plan for global dominance by political, economic and hot wars without end. Its global death, destruction and human misery trail. Its ravaging and destroying one country after another on the pretext of democracy building. Last month, Britain’s Defense Secretary Michael Fallon absurdly warned about Putin posing a “real and present danger” to Baltic states. Irresponsible hyped hysteria makes anything possible. Washington and Ukraine plan joint war games next week. Legislation awaiting parliamentary approval permits multinational military exercises on Ukrainian territory – ahead of resumed war on Donbass. NATO commander General Philip Breedlove hypes the same Big Lie. Things get “worse every day,” he claims. German authorities call him a “super hawk” whose comments show he’s increasingly over-the-top. He has no credibility whatever. German intelligence contradicts him point for point. “I stand by all the public comments I have made during the Ukraine crisis,” he says. Others call him a liar. His public statements reflect propaganda, not facts. As NATO commander, he’s extremely dangerous. He could launch European war if not stopped. His public comments suggest a rage to do it. On Thursday, the Financial Times reported Sweden sending troops to Gotland island in response to nonexistent Russian saber rattling. Its Defense Minister Peter Hultqvist recommends about 150 soldiers. Gotland lies midway between Sweden and Latvia. On the one hand, no threat exists. On the other, 150 soldiers provide no defense whatever. He didn’t name 11 supplier countries. US heavy weapons keep pouring in. Preparations for resumed war continue. “We will act firmly and in a coordinated manner.” If “a new round of aggression” begins, Washington and Kiev will bear full responsibility. All signs point to renewed conflict. Donbass is Obama’s war. e.